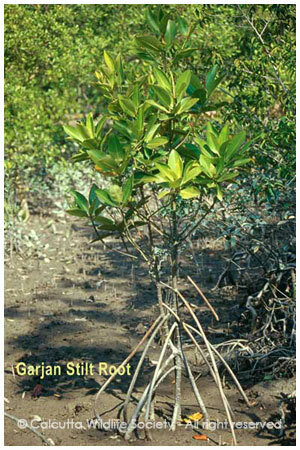 This is the commonest Rhizophora which can withstand high salinity range. It has ultra high filtration mechanism in the root system in order to obtain water from high saline ambiance. Flowers are panicles of more than two flowered, leaf-tip rolled-up. Bark is astringent, anti-diabetic, used in hemorrhage.